Winter stoneflies are out in force this time of year. 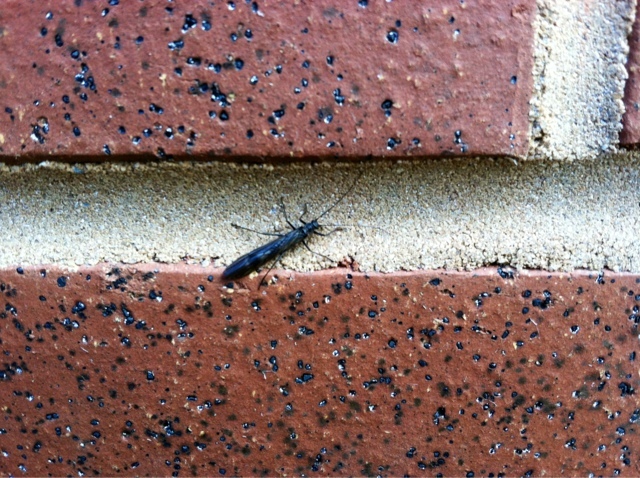 Today we are visiting in Hershey PA and on the wall of the Ronald McDonald House I noticed more winter stoneflies. 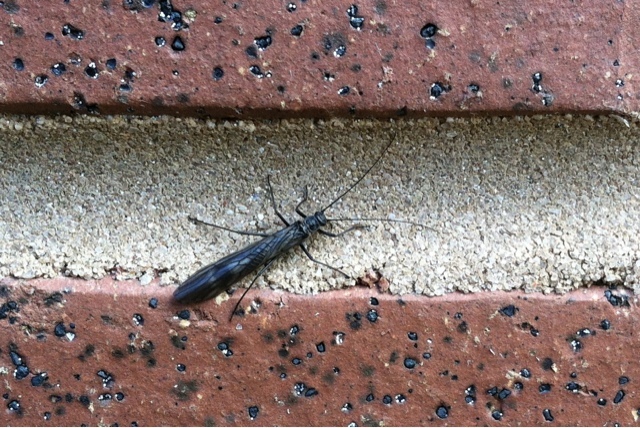 I suspect these stoneflies hatched from Swatara Creek since it runs nearby. Since this is south-central Pa, the weather is a bit milder than in our area. I'm sure the temps still get below freezing at night yet, the winter stoneflies have the ability to survive.